The Honda Civic is not only fun to drive; it is one stunning sedan that is stylish and packed with smarter features to make the drive around Staunton, VA a little more exciting. 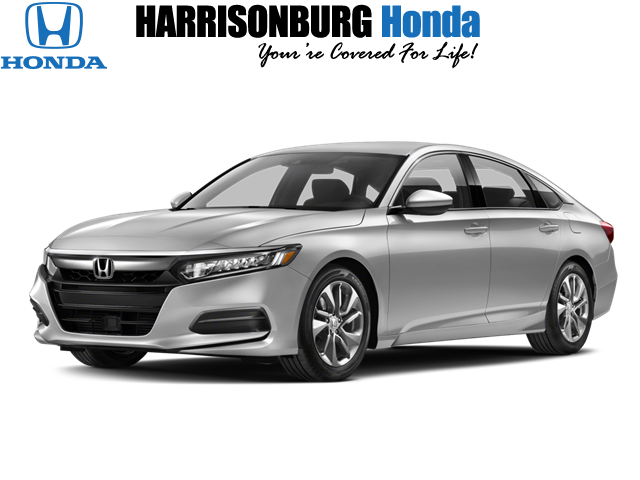 See what the hype is about at Harrisonburg Honda today. If driving has become dull and boring or seems like it is a necessary evil, you need to shake things up a bit. Driving should be exciting and fun. Your sedan should bring you joy. It should make you want to get out and drive 'just because'. If your sedan is the Honda Civic, this is exactly what you will want to do. Let us take you on a test drive at Harrisonburg Honda. Of course, your sedan should be a real looker on the outside, but we believe it is what is inside that really counts. You need a sedan that puts your comfort first and is convenient, too. The Honda Civic is that car that puts your needs first. From the moment you step inside the Civic, be prepared to be impressed. Everything you need is conveniently placed to be ergonomic so you don’t have to overreach to access anything. Leather heated seats provided the cushion and comfort you need wherever you are going. They wrap around you like a cozy blanket that makes driving more comfortable than ever before. Drivers can use the 8-way power adjustable seat to find the most comfortable position for their drive ahead. The center console can handle your large coffee cup or even a small tablet for easy storage until you arrive at your destination. See how the Civic can improve your drive when you visit us at Harrisonburg Honda today. It’s easy to get distracted while driving, especially with all of the technology available. Many states are cracking down on distracted driving and this can be an issue. The Honda Civic offers technology that makes driving less distracting and keeps you connected, too. Plug your compatible smartphone into the appropriate USB port and gain access to Apple CarPlay and Android Auto. With these features, you can use hands-free technology to make and receive phone calls, send and receive text messages, get turn-by-turn directions, schedule appointments in your calendar, stream your favorite tunes, and more all with the sound of voice using Bluetooth technology. It is easy to stay connected while on the go in your Civic. The wireless charging pad makes it easy to keep your compatible device powered up and ready to go so you can be prepared when you arrive at your destination. Let our tech experts give you a full demo of these features and more at Harrisonburg Honda. Even though driving the Honda Civic is a thrilling experience, it doesn’t hurt to get a little help in the safety department. We can all use accident avoidance technologies that help prevent unnecessary collisions before they have a chance to start. The Civic features the Honda Sensing package that is packed with safety features that make driving with confidence a little easier. If you have ever had to slam on the brakes because the car in front of you stopped suddenly or someone pulled out in front of you, you will appreciate the Collision Mitigation Braking System that will help you stop quickly before an accident occurs. The Civic also offers the Road Departure Mitigation System that monitors the road and will steer you back onto it if you begin to veer off of it. For a complete list of safety features, visit our product specialists at Harrisonburg Honda today. Harrisonburg Honda is your destination for the Honda Civic as well as other Honda vehicles. We have a great selection to choose from with a variety of models in various colors and options so you can find your perfect Civic. In fact, we have over a dozen to choose from so you won’t have to go anywhere else to find the Civic of your dreams. Our product specialists are standing by to serve you by phone, email, and in person, so you never have to go through the car buying process alone. Browse our inventory online or in person on our lot, then take a test drive to see why the Civic is one of our best sellers. We look forward to meeting you and can’t wait to watch you drive home in your new Civic.